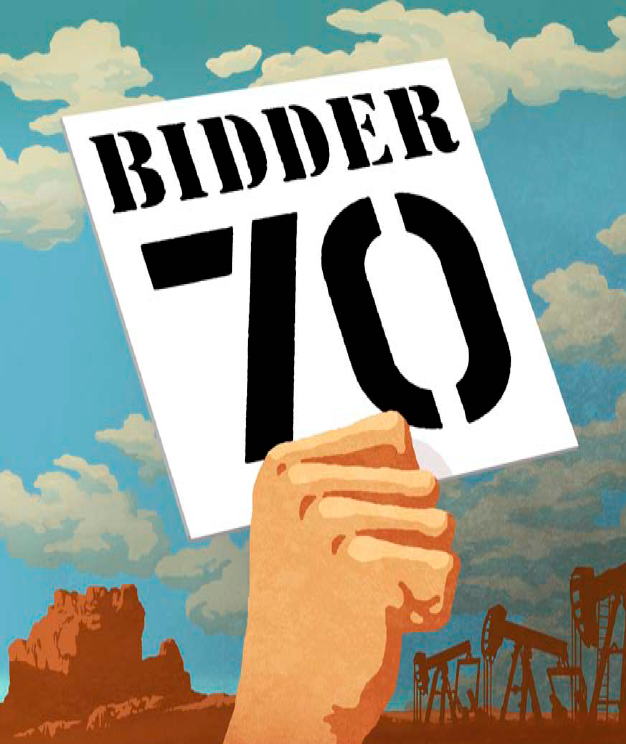 BIDDER 70 is the story of a principled young man and the bravery of his commitment to a livable world. On December 19, 2008, Tim DeChristopher, aka Bidder 70, bid 1.8 million dollars for 22,000 acres surrounding Utah’s pristine National Parks with no intention to pay or drill and brought the BLM auction to an abrupt halt. One month later, Barack Obama became president and new Interior Secretary, Salazar, invalidated the entire BLM auction. Nevertheless, DeChristopher was indicted on two federal felonies with penalties of up to ten years in prison and $750,000 in fines. BIDDER 70 follows Tim as he maneuvers legal purgatory, waiting through nine trial postponements over two years. With the threat of prison looming, DeChristopher steps up his activism and evolves into a climate justice leader. On February 28, 2011, hundreds of his supporters demonstrate in the streets of Salt Lake City as Tim’s trial begins. Judge Dee Benson disallows every defense DeChristopher’s lawyers put forth and Tim is found guilty on both counts. On July 26, 2011, Tim is sentenced to two years in federal prison, and is taken from court in chains. In solidarity, his supporters sit down in the busiest intersection in Salt Lake City, block traffic and trains, and refuse to move. Twenty-six supporters are arrested.